Re: venetian? -- KANANA Post Reply Edit Forum Where am I? The beads in you images appear to be Indonesian a.k.a Java glass. 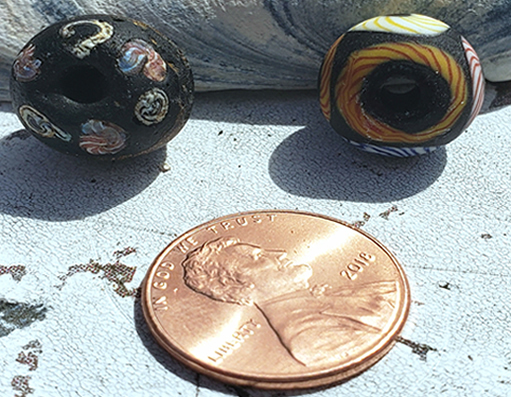 Here are two views of similar beads from my collection. 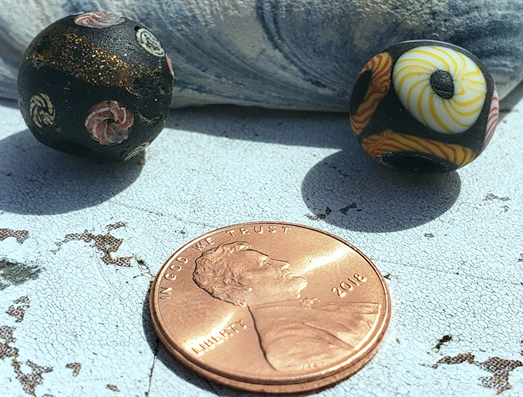 Both beads are are approximately 13mm in diameter. The one on the left is antique Venetian. The one on the right I believe to be vintage Indonesian(Java glass). Both have polychrome latticino ring decorations applied to a black matrix. My Venetian bead also has an Avventurina band around the middle.